As the year comes to a close, small businesses should begin thinking about cleaning house and getting their finances in order so they can hit the ground running in 2018. Regardless of the type of small business you operate, getting your financial house in order can go a long way to ensure you maximize your efficiency and growth potential in the new year. Oh…and tax time is only a few short months away…so ensuring you’re well protected against an IRS audit is a good best practice. 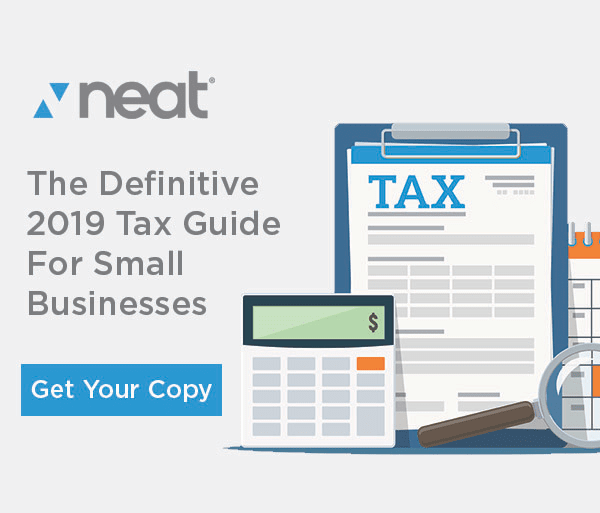 In 2016, approximately 1 million taxpayers were audited (a 14-year low) and only .5% of federal tax returns filed by small businesses were selected for examination. While these statistics may provide you with a bit of emotional relief, a responsible business owner should always be prepared because audits CAN happen, despite the odds. In lieu of gambling on these favorable percentages and simply taking your chances, a smarter decision as a small business owner is to be prepared for an audit at all times. Follow the 7 steps below to fully audit-proof your business and permanently eradicate your fears of receiving a notice when you check your mail every day. Transitioning your bookkeeping and accounting processes online can provide a significant boost to your entire back office. In addition to saving hours of compliance work for you and your staff each month, going paperless will provide easier access to your backup documentation and receipts and allow for a quicker and smoother audit. Accounting software programs such as Quickbooks Online can serve as your centralized hub of accounting data and there are a myriad of third-party applications, designed specifically for your business, that can be integrated in order to equip your firm with an extremely organized and efficient engine. The convenience of instantly accessing a T&E receipt from anywhere at any time, for example, is a powerful luxury to have on your side when justifying your business travel deductions to an agent. An organized small business owner should be able to approach a field audit with nothing but a laptop and internet connection and addressing correspondence audits should not be time-consuming at all if you have the right systems and applications at your disposal. Discrepancies between payroll tax withholdings and payments are common triggers for correspondence audits. One minor error can result in hefty penalties and interest. A credible payroll service provider will be able to establish the correct federal and state deposit schedules and rates, file and pay taxes on time and manage all of the responsibilities associated with new hires. One of the many important responsibilities for small businesses is to issue Form 1099’s each year to all independent contractors and non-exempt organizations. If your company pays $600 or more to an independent contractor in a calendar year, you are required to file a 1099 with the IRS and also distribute a copy to your vendor by January 31st of the following year. Implement an internal policy immediately that prevents any vendor from getting paid until you receive a signed copy of their W9. This form will provide all of the non-financial information your business needs in order to properly prepare, distribute and file that vendor’s 1099. You essentially have only one month to close out and reconcile your annual financials as well as gather EIN’s, SSN’s and legal business addresses for all of your vendors. Requesting copies of W9’s prior to remitting your first payment to each vendor will ensure you do not miss any 1099-related deadlines. Travel, meals and entertainment deductions particularly need to be corroborated with actual documentation and proof of business intent. Failure to furnish receipts can result in the removal of these expenses as deductions, which will result in additional tax owed, including penalties and interest. There are several mobile receipt scanning applications that you can utilize to snap and store images of receipts and import them into your accounting system. A receipt scanning software solution like Neat can help ensure you never lose an expense and is a lifeline in case of an audit. Certain industries, such as restaurants, salons, landscapers and construction companies, face higher risks of being audited, specifically due to the higher likelihood of receiving cash as payment. Pocketing certain (or all) cash jobs is not an effective method of reducing your tax liability and you are potentially cheating the IRS and state agencies on multiple levels, including deflating gross income and not fulfilling your obligations to collect and remit sales tax. Every business that deals with cash should have a separate asset account designed to track cash inflows and outflows. Cash activities should be accounted for no differently than bank account activities. Be smart and document all cash transactions. Triggers for sales and use tax audits can vary from state to state and can come unexpectedly and randomly at any time. Proving your calculations on your returns from previous periods can be extremely challenging and time-consuming. Make sure your gross sales according to your sales tax filings add up to and match what is reported on your income tax return. Any discrepancy is a red flag. Also, be mindful of the exempt sales that you report on your returns and be ready to furnish sound explanations that can prove why you did not collect tax on those sales. Lastly, be cautious when modifying invoices and payments from prior periods in your accounting system. These adjustments can potentially generate discrepancies in gross sales as well as the sales tax liabilities for that period. For example, if you file on an accrual basis, deleting an old invoice (as opposed to properly writing it off as bad debt) will immediately compromise the return that you filed. Consider closing out each month with a password in order to prevent yourself or others from modifying any transaction that is already in a reconciled state. Accountants and bookkeepers consistently maintain the highest levels of respect for tax laws and regulations and endure rigorous standards of their own in order to keep up with certifications and licenses to practice. A qualified accountant should be your biggest fan and your biggest critic. They will voice their concerns to you if they feel you are engaging in suspicious activity or if you are lacking from a compliance standpoint. As your trusted advisor, your accountant will also be technologically-savvy, forward-thinking and able to equip your firm with all of the tools and applications that allow you to work smarter and prevent the many red-flags that can trigger an audit. Partnering with an accountant is a small investment that can potentially save you thousands of dollars in penalties and free up more of your time that you can use to focus on doing what you do best – growing your business! Unfortunately, you do not receive any financial compensation for being a responsible and compliant taxpayer but there are certainly advantages that arise as a result of audit-proofing your business. You will exponentially enhance the methodologies and internal controls of your back office by following these 7 steps and can shave off many hours of your valuable time spent on bookkeeping and compliance work each month. It is a disservice to the growth of your company when you are reconciling your own bank accounts and filing payroll and sales tax forms. Invest in technology, lean on your accountant and trust that your well-oiled machine will protect you from any audit! The Neat Company provides software for small businesses and sole proprietors to help them better manage their business expenses and spending. The cloud-based software allows users to scan in any business expenses using a mobile phone or traditional scanner which we then OCR and make searchable and reportable all data from your paper-based expenses.